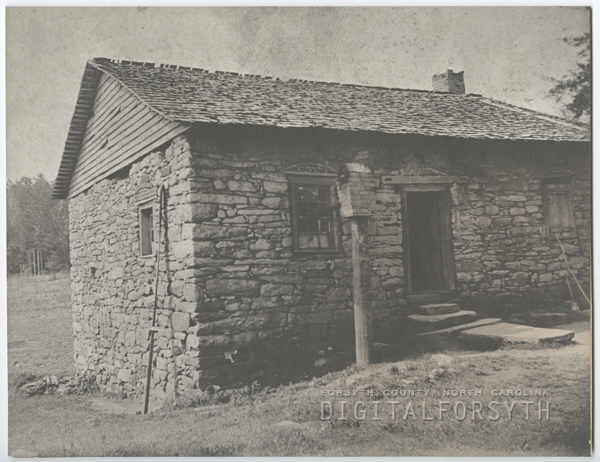 Digital Forsyth | The Adam Spach rock house, located near Friedburg Moravian Church. Home › Photos › The Adam Spach rock house, located near Friedburg Moravian Church. The Adam Spach rock house, located near Friedburg Moravian Church. The Adam Spach rock house, located near Friedburg Moravian Church. The house was built in the 1750-60s. I am a 9th generation direct descendant of Adam Spach on my mother’s side. We have the book from 1919 identifying the succession of generations all the way to my mother. I’m a 8th generation decendant of Adam Spach on my mother’s side. Mother, Kathy Barbee Motsinger. Grandmother, Ruth Boyer Barbee. Great Grandmother, Rosa Rominger Boyer. Great Great Grandmother, Harriet Burke Rominger. IIIGrandmother, elizabeth spach burke, who was the grand-daugther of adam spach. :-) I know, long list, but I find it rather fascinating! I am a direct descendant of Adam Spach. I was born in Winston Salem NC and now live in Las Vegas NV. We just named our grandson Adam! I am a descendant that family married into Romingers which married into the Leonards. My mom surname is Leonard. Her grandmother Laura Rominger. Her surname was Rominger. I am also a direct descendant of Adam Spach , his son Johann Adam was my 4 th great grandfather and he was my 5 th , my great grandfather Walter T Spaugh was President of Salem Iron works , so happy to get prints of this side of my family .